A woman’s health is indispensable to the good health of her baby. It is needless to say that Pregnancy is the period that is nutritionally demanding for both mother and baby. Mothers who stay active and have a good frame of mind as well as following healthy diet together with essential prenatal care are less likely to have problems during pregnancy and more likely to successfully give birth to a healthy baby. All we’ve heard were stories about bad pregnancies, complications in conceiving, or how a child is an impediment in a woman’s life mostly if she is an employee who commutes to work daily. Pay no attention to all this and listen to your body. Pregnancy is the most normal and natural thing a woman can do. The more you get ensnared in a negative frame of mind, the more mistrust you will create around your pregnancy. This negativity can make you a prisoner of your own body. Schedule an appointment with your gynaecologist as soon as you realize you are pregnant. There are quite a few schools of thought on prenatal nutrition about what you should eat to have an excellent pregnancy but it can be simplified to nourishing mother’s gut. Healthy mother’s gut means the baby will have access to all of the nutrients available from the mother’s diet. If the mother’s gut is not in good shape, then even if her diet is immaculate, her nutrient absorption will be messed up, which in turn means that the nutrients available for foetal development will also be limited. Having a balanced diet is one of the best things you can do for yourself and your baby. Be cautious of the foods and drinks you have during pregnancy. You need to eat healthily but you don’t need to eat for two, i.e. you may need no more than 200 calories extra per day. A piece of bread with honey and banana is enough. And don’t feed your body with cravings which don’t help you meet the nutritional demands. Avoid snacking and eating junk foods such as a pizza, fast food meal, processed cakes etc. Instead, make your own meals and make sure they are full of all the good stuff that will make you feel better. In addition, a study published in Frontiers in Endocrinology reveals how a mother’s diet can influence her baby’s food preferences. High-fat food during pregnancy had heavier babies, which preferred fatty foods. Their brain circuitry got transformed to have a craving for fatty foods during their adulthood. As per a study published in the European Respiratory Journal, high sugar content in the mothers’ diet can lead to allergies and asthma in the babies. Eating a healthy diet to get vitamins and minerals is always a wise idea, especially during pregnancy, but you will need to take some more prenatal vitamins and minerals to help cover up any dietary gaps in the motherly diet. Pregnant women should take at least 400 micrograms (mcg) of folic acid, starting before conception and continuing for the first 12 weeks of pregnancy. It can help prevent neural-tube defects which affect the brain and spinal cord. Check with your doctor if you need more than the required intake. Iron is important for preventing low birth weight and premature delivery. Also helps in the delivery of oxygen to the baby and prevents anaemia in the mom; and calcium helps build your baby's bones and prevents losing bone density in the mother. Iodine is crucial for a woman’s healthy thyroid function during pregnancy. Regular physical activity during pregnancy has health benefits and also helps to prepare the body for childbirth. Nevertheless, it is vital to modify or adapt a suitable exercise program because pregnancy affects the body’s response to exercise. Try to get at least 30 minutes of exercise three times a week; a light to moderate exercise program should be the aim. Talk to your doctor about any conditions that may prevent exercise. If you weren’t active before you got pregnant, don’t suddenly take up exhausting exercise, start slowly. Begin with no more than 15 minutes of exercise and increase this gradually up to 30-minute sessions and if you need more, increase it to an hour after consulting the doctor. Keep in mind that exercise doesn’t have to be arduous to be beneficial. Pay attention to your body and do not overdo it. Drink plenty of water to prevent dehydration or overheating. It is best to avoid exercises that may cause you to fall. Keep in mind to listen to your body, to your gut and most of all, enjoy these precious nine months in your life. They really are special. Guru Multispecialty Hospital is the Best hospital for pregnancy services in Madurai – with an exclusive assurance to provide world-class infertility care to one and all in need. 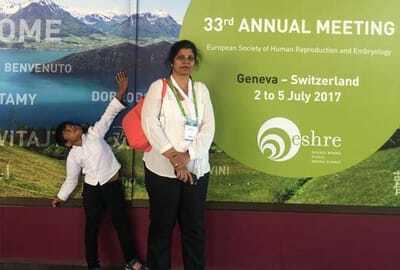 Anish fertility and women center at the hospital was founded with the primary aim of making infertility treatment available, accessible and affordable to the common people. 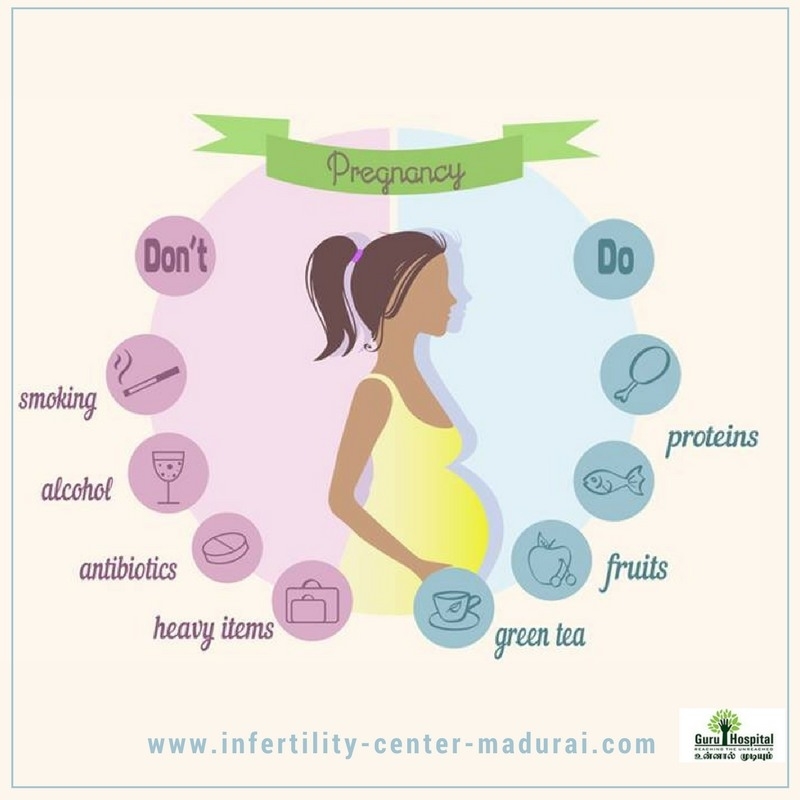 The Fertility & Women Care centre is administered by Dr. B. Kalpana, the best gynaecologist in Madurai and qualified infertility specialist in South Tamil Nadu. 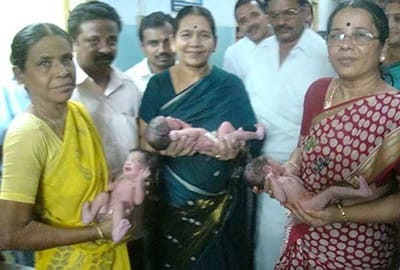 Anish fertility and women center is also focussing on having a training centre in infertility and also providing Pregnancy tips to women in Tamil Nadu including those who are in remote villages to create infertility awareness.